This diet is highly effective in eliminating fat deposits quickly and permanently. No calorie counting or carbohydrate counting is necessary. Eating a low carbohydrate healthy high fat diet to lose weight rapidly happens because cravings and hunger pangs are completely eliminated. The hormone insulin isn’t excreted in large quantities so you will not crave or feel hungry. Insulin enlarges your fat cells and prevents your fat cells from releasing their stored energy. Insulin secretion makes you gain weight. 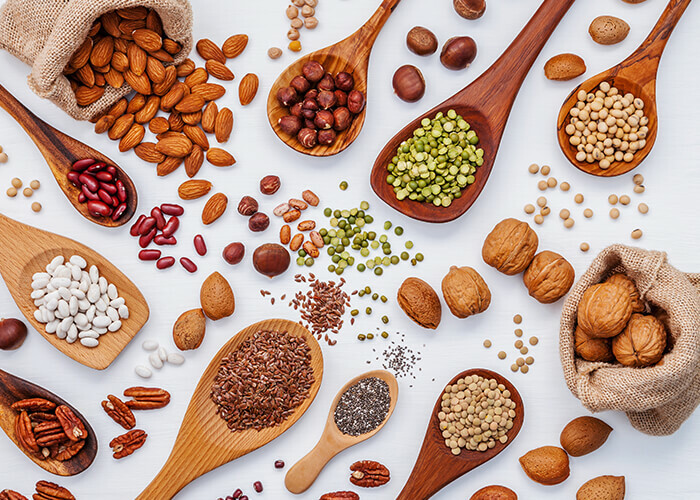 It is very healthy to consume a low carbohydrate, healthy high fat diet with whole grains and seeds (beans, lentils, nuts, peas, etc) that are rich in fiber in the presence of a low animal protein source. These diets are highly protective in preventing oxidation and inflammation, which are the root causes of obesity, cancer, type 2 diabetes, heart disease, high blood pressure, dementia, fatigue, depression, neurodegenerative diseases, asthma, allergies, irritable bowel syndrome and many other chronic diseases like arthritis, acne, exzema and peptic ulcer disease.